Playing as a jet pilot of the "Coalition" force, players take control of either an F-15 Eagle, or an A-10 Tankbuster jet. The mission is to neutralise the offensive forces of the Zarak army, who have recently invaded a smaller neighbouring country. The Zarak army has many ground units, including tanks, stinger-missile launchers, SCUD missiles and armored vehicles. To accomplish the ultimate goal of defeating the Zarak army, players venture out on numerous missions (called "sorties") that have varied and specific objectives. Typically, various installations such as radar sites, air bases or ground units are the target. Other missions include disabling an oil-pipeline and destroying SCUD launchers before they fire. Pre-mission screens ask the player to select from the two planes. Then, the player can specify the armament to carry into the sortie. 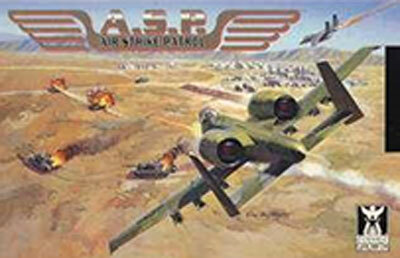 Air-to-ground and air-to-air missiles are available for each of the planes. Here, a strategic choice between countering either air units or ground units has to be made, as each area (of which there are eight) is patrolled by opposing enemy F-15 jets.